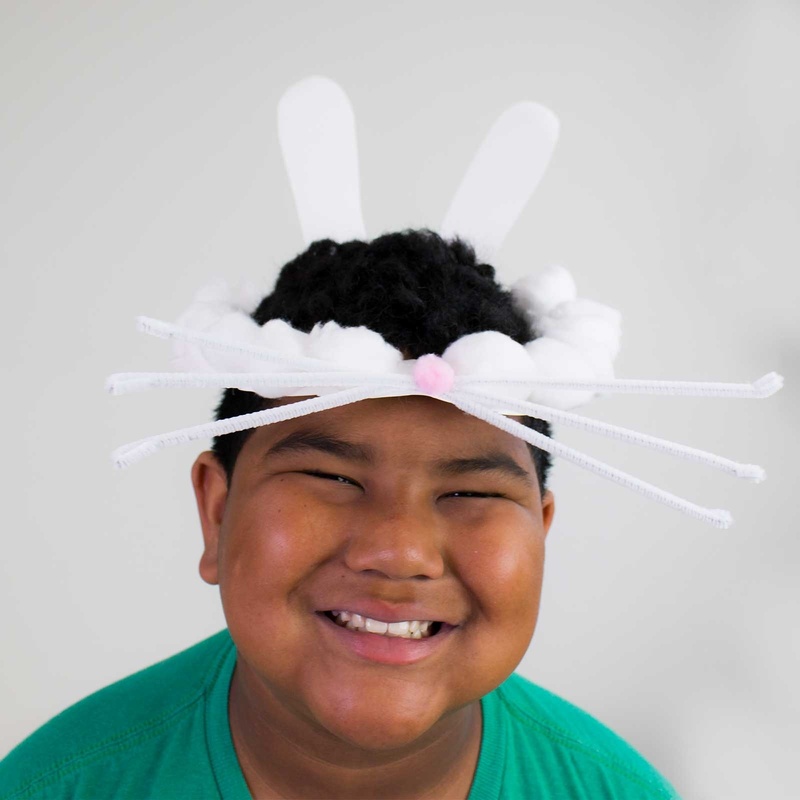 The kids are gonna love these easy to make bunny ear hats. 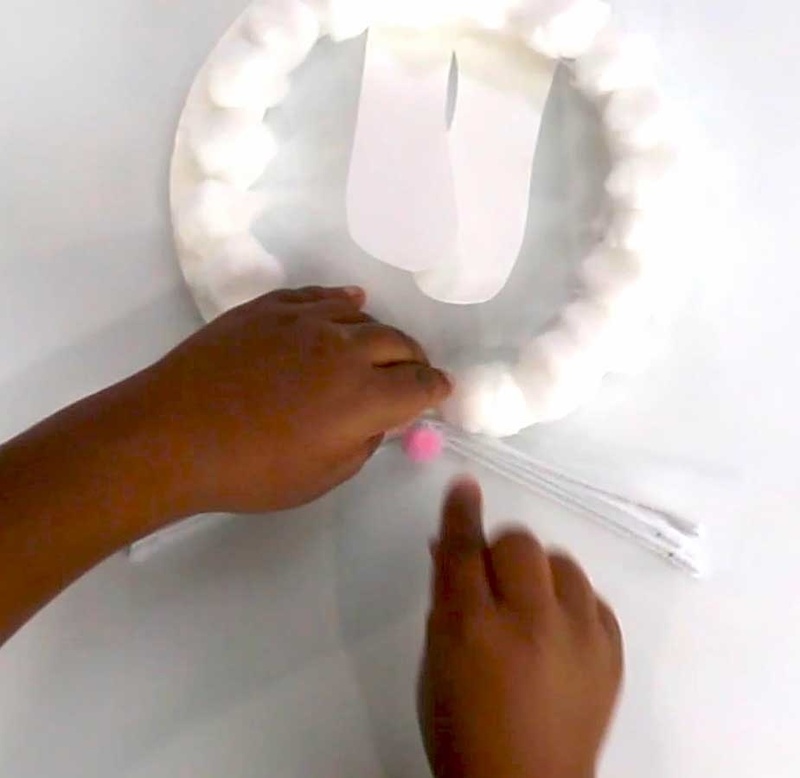 These are super fun for making before the Easter egg hunt or as a classroom craft. 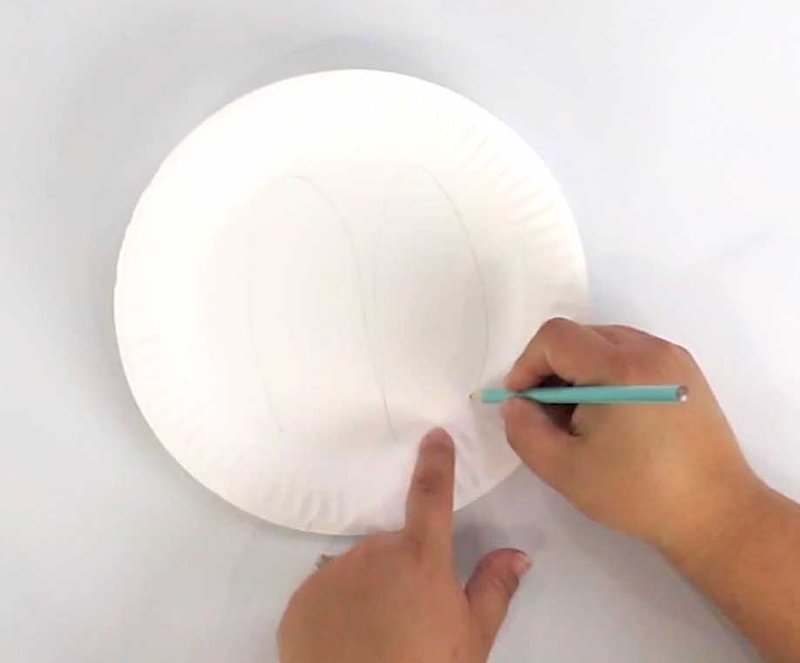 Draw bunny ears on a paper plate. Cut out the bunny ears and around the rim of the paper plate. 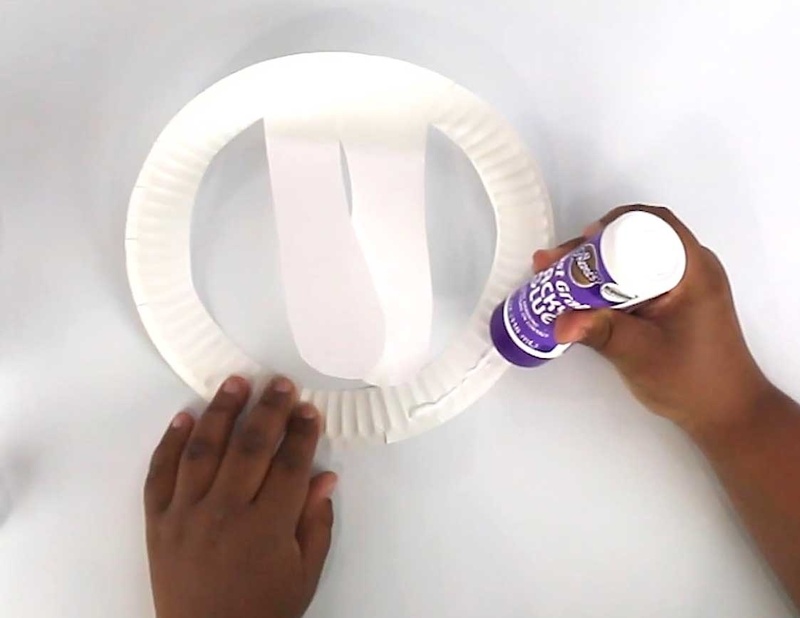 Apply a line of Aleene's Fast Grab Tacky Glue around the rim of the paper plate. 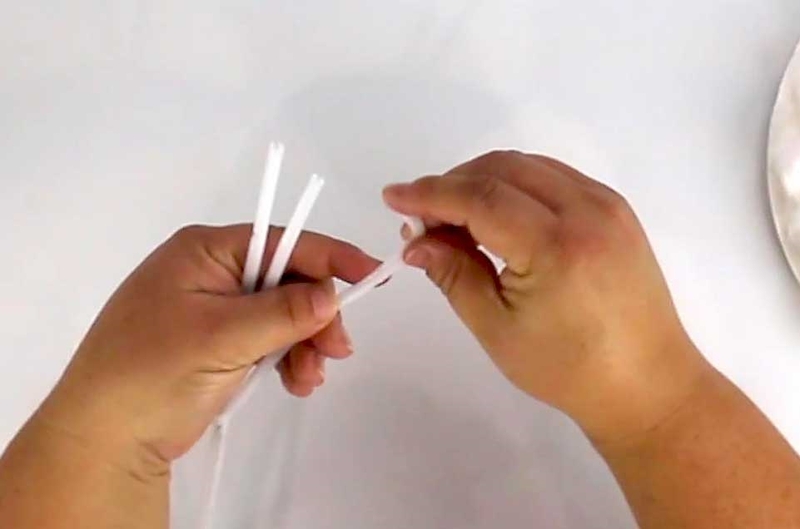 Stick cotton balls onto the glue line. Allow to dry. Twist three chenille stems together in the middle to form whiskers. bend over the sharp ends. 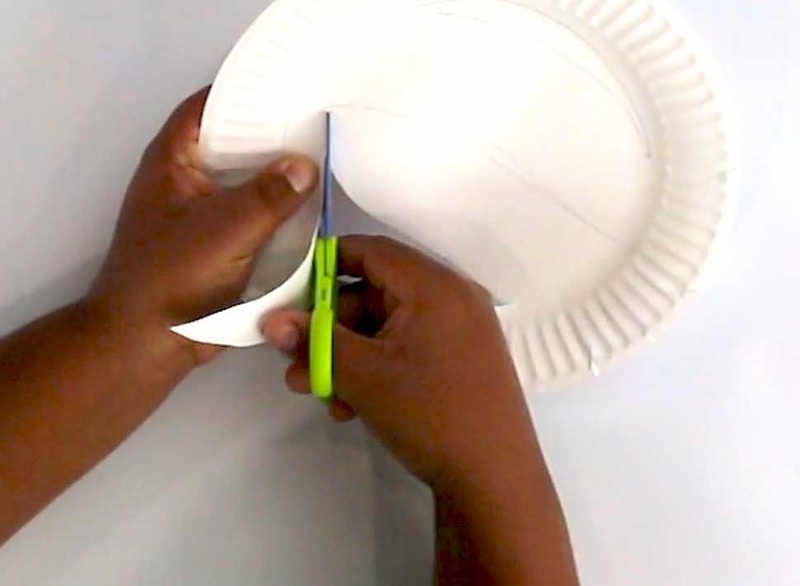 Adhere to the front middle of the paper plate with Aleene's Fast Grab Tacky Glue. Add a pink pom pom to the center of the whiskers with Aleene's Fast Grab Tacky Glue. Allow to dry.